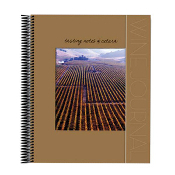 The A Quiet Evening Classic Journal is a great way to keep your thoughts organized on paper. The hardcover, perfect bound writing journal contains 192 ruled pages and matching elastic band closure. 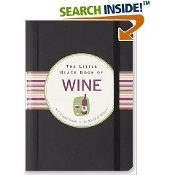 This cookbook is a compilation of more than 275 easy, yet elegant recipes and tips. 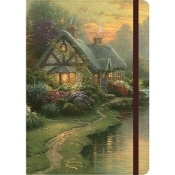 Good Life Classic Journal is a great way to keep your thoughts organized on paper. Wine bottle, glass, and flowers artwork by Susan Winget decorates the protective cover and inside pages. 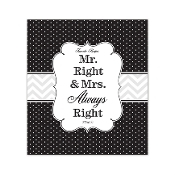 The hardcover, perfect bound writing journal contains 192 ruled pages and matching elastic band closure. 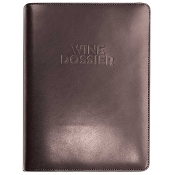 Wine appreciation occurs on so many levels, and our beautiful, exclusive Wine Dossier affords the opportunity to keep a thorough catalog of cellar and tasting notes, with a special "trip diary' section for briefer jottings on the fly. Land of Cotton Cookbook has just great old fashioned recipes that your family will enjoy for years to come! A collection of Southern Recipes.